Not planning a big family holiday this summer? Never fear! There are hundreds of fantastic places to go for brilliant days out with the brood to break up the never-ending school holidays. Here are five of the best, with top tips on what to do when you get there. This post was written in collaboration with Travelodge. Alton Towers in Staffordshire is a classic themepark day out, and there’s so much to do for all ages that the whole family will be thrilled with this suggestion. If you’ve got little ones then the brand new CBeebies Land is sure to put a smile on their faces. They can help Postman Pat do his rounds, meet Iggle Piggle on the In the Night Garden Magical Boat Ride and train with Tree Fu Tom – watch their faces light up as they meet their favourite characters face to face! For bigger kids, last year’s big addition to the park, The Smiler, is waiting to marmalize visitors. And don’t forget Thirteen, a unique coaster-come-ghosttrain that will leave your hair standing on end! Cadbury World is a brilliant day out when the weather is being typically British and temperamental. Most of this walk-round attraction is undercover, but there’s also a playground for if the sunshine does decide to make an appearance. Discover the origins of chocolate, ride the cute Cadabara ride and play with chocolate in the factory, for a day full of chocolate-flavoured surprises – plus free chocolate bars at every turn! If you want to make a night of your family day out, there are several great value Travelodges in Birmingham. Make the most of your mini break and check out the Travelodge get up and go guide to see what other attractions and events are nearby. Legoland in Windsor is a fantastic choice for little builders who love their lego blocks! All the rides and attractions are lego themed, including the Dragon coaster, the Atlantis submarine ride and the Drench Towers duplo themed water park. Little pirates will love the new Pirate Shores area of the park, where you’ll find the Pirate Falls flume, Jolly Rocker pirate ship and the new Castaway Camp adventure playground. Yaa-arr me hearties! Brighton is a brilliant choice of day out destination for both young and old, mixing traditional seaside town with a cosmopolitan and vibrant city vibe. Iconic Brighton pier is a great place to start, with classic attractions like the stripy helter-skelter, carousel and amusement arcades. After all that fun, fish and chips on the pebble beach are in order, followed by a wander of The Lanes for souvenir shopping and a visit to the landmark domed Pavilion. 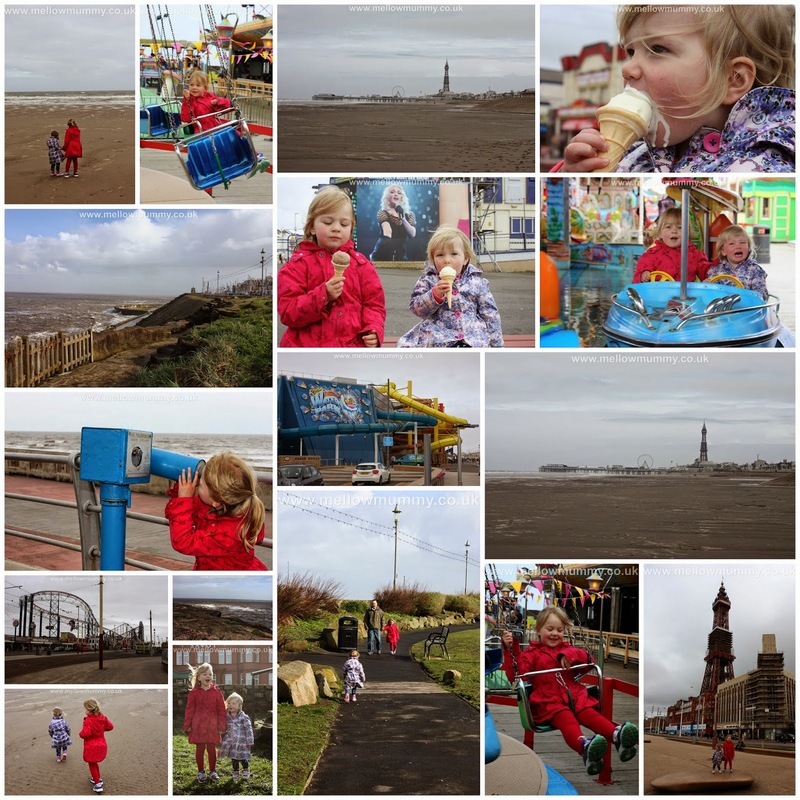 Northern gem Blackpool is the place where dream days out happen, with everything you could wish for to make an amazing mini-holiday in the UK. Book into a Blackpool Travelodge for a night or two and have fun in the Pleasure Beach, make a splash in the Sandcastle waterpark and head up Blackpool Tower for incredible views from the SkyWalk attraction – if you dare! With so much to do on the doorstep, there’s no need to break the bank to take your brood abroad this summer. Stick a pin in the map and get up and go to one of our great UK attractions, for a low cost summer of fun.